Nick Daley is an agent with the CIA. A former Special Forces member who learned about life the hard way in the jungles and heat of Vietnam, Daley made the transition to working for the Agency and used his talents in that area for some time. Since that time he has worked where he has been sent, learning to adapt to new surroundings, new enemies and supposed friends, and new ways of doing business. As this series opens, the area of the world where Daley finds himself is the hot, arid region of northwest Pakistan along the rugged and unwelcoming border with Afghanistan. The time period is the early-to-mid 80’s. The Soviets are dug deeply into their own unwinnable war and the Afghan people, a warrior race that would fight with itself if it did not have an outsider to hate, has a major reason to rebel. For the Americans, especially the CIA, the fight of the Afghans against the puppet regime and its master is nothing compared to the damage the war has caused on the Soviets and anything to keep that conflict going just keeps the deterioration growing. For that reason, Nick Daley is ordered by the Agency to help out. His real orders come from the Director himself so the actions of the “rogue” agent which conflict with the local Station chief are excused. At the same time, a female American reporter who knew one of the most successful Afghan rebels from his time in America wants to get inside Afghanistan to meet up with him again. 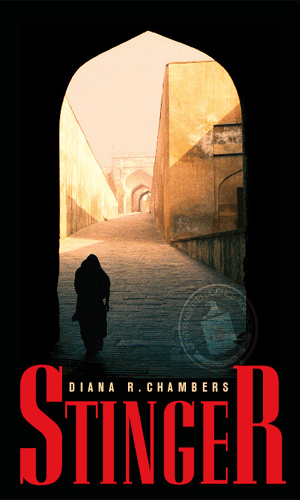 The struggle both Daley and the reporter face dealing with the myriad of foreign operatives and operators in the Peshawar region of Pakistan as they work their way into the neighboring country make up the first adventure. The second adventure is totally different from the first in pace, plot, and style but is just as captivating. 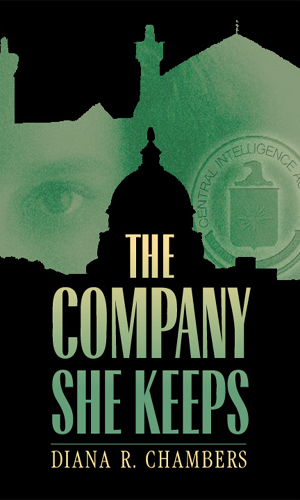 Nick Daley is back in the States having successfully completed his mission but as he works a new assignment finding and stopping enemies of the U.S., usually arms dealers aiding terrorists, he comes across the young, beautiful woman Evelyn, nicknamed “E”, who will play a huge role in several of his cases. What makes the second book so fascinating is that it is told from her point of view as she swept from her small North Carolina town and finds herself in the nation’s capital. How this extraordinary young lady learns to survive is a huge part of the book but throughout her maturation she finds Daley who is forced to use her from time to time but suffers in guilt for doing so. When the storyline takes E as a new bride to live in the Iran of the Ayatollahs, a somberness and a realism steps in that is impossible to put down. Jamal is an accomplished mujahadeen fighting the Soviet-controlled Afghan government. Nick Daley is sent to bring him Stinger missiles to help his cause. Robin Reeves is a reporter, and former lover of Jamal, who wants very much to interview him. Both must find their way from Pakistan into the warzone to locate an illusive warrior. Meanwhile, the Soviets want him, too. The beautiful young woman Evelyn was falling in love with the handsome businessman when Nick Daley introduced himself and told her the man was really a Russian agent. Thus begins a fascinating story about making hard choices and living with the results as Evelyn and Nick both learn that every decision carries a heavy cost. I was not quite sure what kind of series I was getting into when I started this two-book (so far) series. The first book looked like it was going to be lots of actions, which it has, teamed with a good deal of cloak-and-dagger suspense, which it also enjoys. The second book, though, looked more like a romance novel with an espionage twist, which is something I seldom enjoy. The first book was every bit like I thought it would be and I really enjoyed it. There were some sudden twists and surprises in several spots in the book that made my eyebrows go up sharply as I mused, 'I didn’t expect that!' They all made sense and were believable but they were delightfully unexpected. I wrote a review for Amazon that gave it very high marks and it deserved it. So, I then started the second book a bit worried since it was not a bit like the first. My surprise at how much I truly enjoyed the second book floored me. This has a great deal of romance but it is more about the maturation of a young North Carolina woman nicknamed E and how she is made use of by the CIA and later manipulated and really disabused by them all in the name of patriotism. It is also the story of how a good agent, Nick Daley, must fight the system to keep from doing really bad things in the name of a good cause. What is so fascinating about the book is the innocence of the character slowly leaves and it is sad to see it go, replaced with wariness. It was also more than a bit grating to see how cavalier Nick Daley’s boss is towards the things the woman is put through. One particularly chilling scene has the boss talking to Daley about using her again and calling her a whore, carrying nothing whatsoever about her fate, all the while standing on the sidelines watching his own young daughter play soccer. IMHO, the first book is a darn good read. The second book is a darn good experience. I hope Ms. Chambers decides to let us back into Nick Daley’s world. I do not know if I want E back, though, only because the woman has gone through enough! Luckily I can leave that decision to the author.